Want to find the best cell phone? We read the reviews so you don't have to. Compare phones and find the one that's right for you. Sitting in the middle of Samsung’s 2019 lineup, the S10 offers an excellent balance of performance and design with a price typical of today’s high-end phones. If you’re looking for a capable phone that still fits in your pocket, reviews show the phone is a great choice. In terms of raw value, the Honor View 20 has plenty to offer as long as you can overlook the load of bloatware pre-installed on the phone and don’t need the absolute best camera available. Unless you already own an iPhone X, the Xs is a worthy upgrade to just about any other phone on the market. It offers a great camera, unmatchable performance, a beautiful display, and a sleek design -- but it comes with a hefty price tag. The Mate 20 Pro might not be Huawei’s cheapest phone but it’s one of the best. It provides an attractive package in terms of design, features, performance and camera capabilities. Cell phones… they’ve changed everything. Being able to keep up with social media, stream your favorite music or movies, and juggle all of the tasks of a hectic modern existence with a single device is handy. But they can also be expensive. And, unless you’re up-to-date on the latest tech trends, choosing from the seemingly endless number of phones on the market is intimidating. So how do you know what’s best for you? 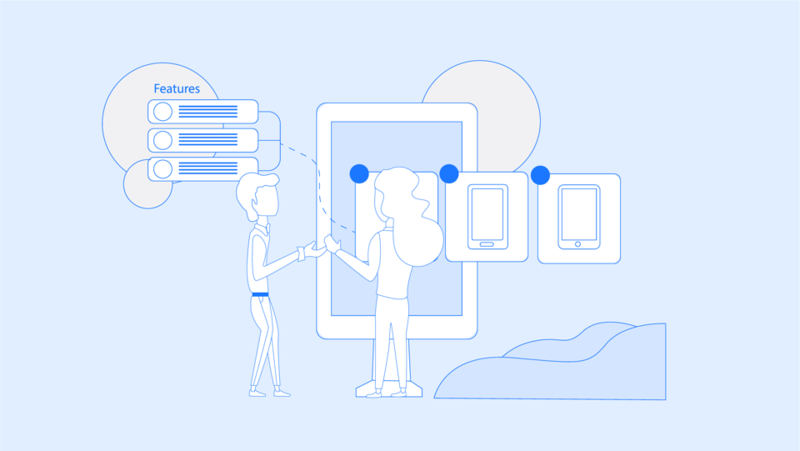 From phone models and operating systems to carrier considerations, this guide will highlight everything you need to know. The latest smartphones look good but they can come with a hefty price tag. Know your budget and stick to it. In most case, no one needs the latest phone… last year’s model might be more than a enough and will come with substantial savings. Unless you absolutely need a brand new phone, you can often save a nice sum going with a refurbished or used phone. Whether you buy one from a carrier or a reputable website, you’ll enjoy many of the same protections and a reliable phone at a fraction of the price. Making payments on your new phone might reduce your upfront costs, but those payment plans might cost you more in the long run. Or you might find you don’t own your phone at all after paying for months. If you can afford it, we recommend buying your phone upfront to avoid any of these concerns and potentially save on fees. If you’re looking for a simple-to-use phone with a great selection of apps and fast updates, iPhones are an ideal pick. If you prefer to customization your phone, want a greater variety of phones from which to choose, or you’re looking for budget-friendly phone options, Android is a better fit. Bigger screens also mean bigger phones. But smaller screens can be harder to type on and make media lackluster. Finding a good balance between one-handed use, the ability to slip your phone in your pocket, and getting the best visual experience is essential. 4K displays are nice in your den when they take up half the wall. But when they’re only 6-inches wide, the impact isn’t quite the same. If you’re looking at a 4- to 6-inch phone, 720p is serviceable and 1080p looks beautiful. A good screen is more about brightness, color reproduction, and viewing angles. If any of those are lacking, resolution won’t help. Unless a phone supports microSD cards, you cannot add storage to your phone. In most cases, looking at models with at least 16GB of storage is a good starting point. Anything less and you might need to uninstall things to make room eventually. If you can get 32GB, that’s much safer. Understanding what to expect from your phone’s camera used to be easy. It was all about finding more megapixels. Today, there are far more important considerations. Multiple lenses, smaller aperture sizes, dedicated image processors, optical image stabilization, and other features will make a far bigger difference in the quality of your shots. Unless you’re planning to play processor-intensive games, there’s a good chance that most models will have enough power for you. While some very cheap prepaid options might not, most phones now run quad- or octo-core processors. Even low-end models run circles around many of the smartphones of just a few years ago. If you need a new plan to go with your phone, considering your carrier and phone options together might help to uncover ways to save and avoid any incompatibilities between your new phone and carrier. Since plans and phones are tied together in many ways, we’re listng those considerations first. If you choose a phone before considering the plan, you could find that all your research was done in vain when the carrier you’re choosing doesn’t offer the phone you have in mind or, worse still, the phone is not compatible with their network and won’t work at all. Cell phones use a range of frequencies to connect your phone to the network and provide service. If you're looking for a new phone (and you're not shopping at your carrier's store) you'll want to be sure your options are compatible . If you have your eye on a specific model or brand , check that it will work with the carriers you’re considering. Each carrier uses a specific set of frequencies. If the phone you are interested in doesn’t support the right frequencies, you could find service is unreliable or it might not connect at all. This is particularly relevant in US markets where CDMA networks are still in operation. Without coverage, many of your phone’s features won’t work. Always check out the coverage maps for the carrier you’re intending to use to ensure adequate coverage in areas you frequent. Each carrier offers their own maps, but you can also use the OpenSignal service to see maps created using reports from other people’s phones. Their data comes from users who install an app. It then measures signals for a realistic look at what you can expect instead of an estimate from carriers. Look near your home, along your route to work, near your kids school, and other commonly visited locations. In addition to coverage maps, be sure to ask friends or family about their experience. Most maps are estimations, but real world experience gives you guaranteed information. A little research ahead of time can avoid a lot of frustration later. New phones are nice but costs add up fast. Data overages, fees for extra lines, taxes, and phone financing or lease payments will all add to your bill. Knowing how much data you'll need and how many lines you will need highlights which phones you can afford without causing undue stress. While your choice of phone will impact how much much it costs to get your phone service running, the plan required to make the most of the phone will impact your finances for months -- if not years. If you’re looking for the best plans for your needs, our comparison tool makes it easy to see how different options line up without having to dig through carrier sites or open a bunch of tabs. We also have a cell plan buyer’s guide if you’re looking for more guidance into the various choices available. Phones run an operating system -- just like a desktop or laptop computer. The operating system decides what apps are available, where you’ll get them, and how certain features work. At a high level, most operating systems offer similar features these days -- including calling, messaging, a camera, email, security features, and more. However, each operating system presents these features in a different way. Apple’s iOS is the most consistent choice. Whether you’re picking up the latest iPhone or even a two-year-old iPad, they’ll function in a similar way. They also have one of the largest app stores around. 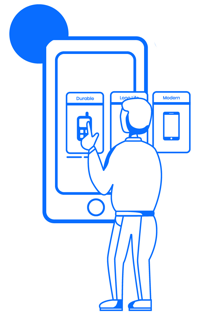 This means that Apple’s phones are easier to use. Once you’ve learned how it works, you should find the software on any iPhone or iPad feels familiar. And, if you’re a Mac user, you’ll also find tight integration between your mobile and computer. Android phones come with a variety of different software versions and interfaces -- typically known as skins. Even different models by the same manufacturer can feature different software. However, most offer similar features once you know where to look. While Android offers more customization options, this isn’t always a good thing. If you’re new to smartphones or upgrade phones often, all those options and changes might feel intimidating. There’s also less integration between mobile devices and computers in the Android market. Tip: Switching operating systems often means having to purchase your favorite apps again. So doing a little research or popping by a retail store to see how different software options work beforehand can avoid extra spending later. Mobile phone security is mostly about how often the phone receives updates and how long it will receive updates after you buy it. After all, if someone discovers a new security issue tomorrow, it doesn’t matter how secure your software is today. What matters is how fast the issue is fixed. On Apple devices this isn’t much of a concern. However, most Android phones don’t get software updates as often. This is often worse with carrier-locked phones as the carrier might add additional delays. That’s bad because less updates means more opportunities for bugs and security issues to go unfixed. If choosing an Android phone, we recommend choosing an unlocked option from a manufacturer known for quick updates. Better still, Google’s Pixel series and phones in the Android One program receive updates as they release with no delays for a guaranteed period of time. Comparing apps on iOS to apps on Android is a matter of quality versus quantity. While both platforms will have a range of common apps -- such as social media platforms, art and design apps, chat apps, and games -- they also have a few exclusives that might impact your decision. While iOS has many of the games and “fun” apps of Android, it’s better positioned for productivity and professional-grade art and design apps. Apple has strict requirements to get apps on their store. This means that, in most cases, if an app is available on the iTunes App Store, it is safe and reliable. The Google Play store, in contrast, has more lenient requirements and less screening. While they catch most of the malware that is submitted to their store, they allow apps of questionable quality through more often. If you need to use a specific app (or you’re curious about the options available) you can always browse the iTunes App Store or Google Play Store from your computer before deciding. When it comes to phone selection, Android wins hands down. Apple typically offers a series of top-end phones and then keeps a few generations of older models available at lower prices. Android, on the other hand, has multiple manufacturers using their software. Even if only looking at the top-end models, there are more options on Android than Apple. Add in the army of mid-range and budget options and the lead increases even more. The sheer difference in selection means that Android offers a greater range of prices as well. In general, top-end Android and Apple devices have similar prices. Older Apple devices might compete with some mid-range Android devices in price. But if you’re looking for a budget-friendly option, Android is going to give you more options. With a rough idea of what you need in a phone and how much it’ll cost to keep service running for it, it’s time to figure out which phones you’re interested in. Do you want a fast smartphone with an awesome camera? A basic phone for emergencies that doesn’t cost an arm and a leg? A phone that’s cool enough for the kids but affordable enough to replace? There is no phone that is perfect for everyone. So think about how you plan to use it and what you want it to do. Note what’s important to you. This upfront consideration can help narrow your options and ensure you start off on the right foot. The consideration that will most impact your options is whether you want a basic cell phone or a smartphone. While smartphones are handy, they’re also pricey. If you decide on a basic phone, most of this section won’t apply. You can skip to “Paying for Your Phone” for more details or consult our list of the best non-smartphones for ideal picks based on your intended usage and budget. Whether you’re checking email and using your phone as a mobile office or plan to play the latest games and treat your phone like a portable entertainment hub, the screen is what you’ll interact with most. A high-quality screen is essential to a good phone experience. But what makes one screen better than another? Phones get bigger each year. These days, it’s not uncommon to see top-end models touting screens hovering in the 6-inch range. While this is great for watching videos, it’s not always ideal for making calls or using your phone with one hand. Smaller phones are lighter and easier to hold but text is often cramped on the screen and keyboards can be a pain to use. We recommend phones smaller than 4.5-inches if you’re in need of something portable and plan to use your smartphone primarily for voice calls and other basic needs. Medium-sized phones between 4.5- and 6-inches strike a nice balance of portability and ease of use. They’re also great for gaming or media consumption. Phones larger than 6-inches get tricky. Voice calls might be awkward without a Bluetooth headset or wireless speaker . And, while a larger screen might be great for gaming or watching movies, it’s less likely to fit in your pocket comfortably or allow you easy one-handed use. If you’re unsure what size is right for you, we recommend heading to your local electronics store and handling a few phones. This will help you determine what looks good and feels right in your hands. Screen resolution and screen size combine to determine how detailed your screen will look. Specifications often list this as a pixels-per-inch (PPI). The PPI measurement compares the resolution to the screen size to show how many dots are in an inch of screen space. Tip: We won’t get into the specific math involved, but if you cannot find the PPI of the phone you’re interested in, you can calculate it using the Pixel Density Calculator . For example, if you have a large screen with a lower resolution, you’ll notice rougher edges on text and a lack of detail in images and video. But if you have a smaller screen with the same resolution, the lack of detail isn’t as obvious. With that said, there’s also a limit to the amount of detail you can see -- even on a larger phone. And, because of this, some experts argue that 4K phones are overkill and often not worth the price -- both in increased costs and performance loss. We find that a PPI around 350 provides an adequate level of detail. While a PPI higher than 420 offers improved detail, it’s harder to notice the difference as the number increases further. Similarly, dropping below 300 PPI, you’ll notice an immediate lack of detail in images, videos and games. You might also find that text is blurry and hard to read. The exception to this is if you plan to use your phone with a VR headset. Since the phone stays so close to your eyes -- and lenses magnify the image -- you'll want the highest resolution you can get. Most standalone VR headsets use two small screens between 1440 and 1600 pixels each and roughly a couple inches wide. So they're pushing PPI measurements that most phones can't match. Still, most forums recommend starting at at least 450 PPI and if you can push closer to 550 or 600 you'll notice a difference. Recently, phone manufacturers have experimented with different resolutions on mobile phones. The idea behind these changes is that having a phone that is slimmer across and taller is easier to use with one hand and provides a better experience when streaming media or using two apps side-by-side. The different resolutions available mean that a 5.8-inch screen running at 1280-by-720 pixels (720p) and a 5.8-inch screen running at 2960-by-1440 pixels are different sizes. It’s kind of like the difference between a 28-inch tube TV from the 1990s and a 28-inch flat panel TV you’ll find in stores today. The sheer size of the TVs’ bodies aside, the screens themselves are a very different shape. As the trend toward longer phones becomes the norm, these differences will disappear. Until then, a visual comparison and checking specs for the physical dimension of the phone (not the screen) are the best ways to see how screen size impacts the overall size of the phone. If you’ve looked at phone specifications or checked phone reviews, you’ve seen a range of screen types mentioned. While the type of screen will change how the image looks, the quality of the screen is often the most important consideration. Budget phones often feature dimmer, duller screens than their pricier competitors -- even if they use the same screen type. TFT: These are found mostly in budget devices. TFT (Thin Film Transistor) displays have reduced viewing angles. This can cause distortion when viewing from an angle. A lack of contrast and brightness can also cause problems when trying to read the screen in bright sunlight. IPS: These offer improved color and contrast over TFT displays as well as improved viewing angles. A good IPS (In-Plane Switching) screen can compete with the best screens out there. A poor one won’t offer much more than a TFT panel. AMOLED or OLED: Typically used in high-end devices, AMOLED (Active Matrix Organic Light-Emitting Diode) and OLED (Organic Light-Emitting Diode) screens offer exceptional brightness and contrast with wide viewing angles. However, they are more expensive. They also have a tendency to make colors very punchy. So if color accuracy is a concern, choose a model with color profiles that you can adjust to your liking. When looking at connectivity and network options, you’re likely to run into a huge list of numbers and acronyms. GSM and CDMA are network communications types. They determine how your phone identifies itself when trying to connect to a mobile network. Unless you’re shopping for a phone in the US, you’ll want to avoid CDMA. All mobile networks in the UK, Canada, and other parts of the world use GSM. Even then, the few carriers still using CDMA in the US are slowly moving away from it. CDMA might no longer be valid in a few years. 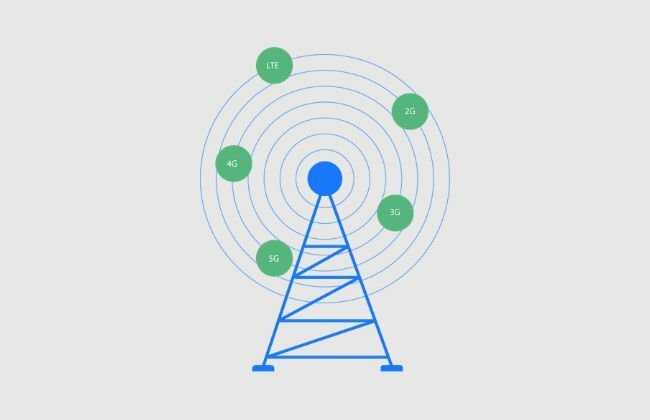 3G , 4G , LTE , and 5G refer to network speeds and the frequencies your carrier uses to transmit data. 3G is good for basic emails or picture messages, but not much more. 4G and LTE are the current fastest standards seeing widespread use. These allow you to stream video, use HD voice or VoLTE features where supported, and download at broadband speeds. 5G is the next generation of mobile network. While a few carriers are testing it, 5G is not yet available in most locations. However, once it is, it is likely to change the mobile landscape forever. Offering speeds of one gigabit-per-second or more, there’s a good chance that your phone’s 5G connection will be faster than your home Internet connection. In fact, some experts believe it might replace it. You’ll want to find a phone that matches the network types available by your carrier. Buying a 3G phone to use on a 4G network doesn’t mean it will just run slower -- it means it won’t connect at all. If you’re unsure which networks a phone supports, you can consult Frequency Check or Will My Phone Work to get answers in a few clicks. 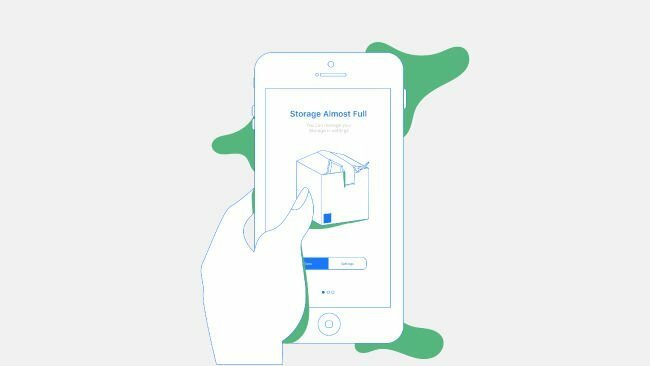 The internal storage on your phone is where you will install apps, store photos and videos, store text and multimedia messages, and download files. It’s no different than the hard drive on your computer or laptop. When deciding how much storage you need, consider that you won’t have access to the full amount of storage listed in the phone’s specifications. This is because the phone’s operating system and any apps the manufacturer or carrier install by default will take up space. To make matters worse, you can’t uninstall these apps on some phones. So you cannot count on being able to reclaim the space these apps use. 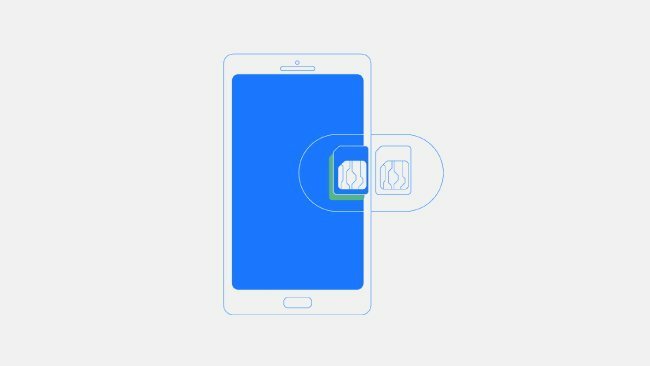 If your phone has a slot for a microSD card , you won’t need to worry as much about storage because it can be expanded affordably. For phones without memory card support -- such as Apple’s iPhones -- you’re stuck with what you buy. Consider how you plan to use your phone before deciding on the right amount of storage for you. For most users, 16GB provides just enough room for an assortment of apps and games, some music, and the occasional photo or video recording. When possible, we recommend 32GB or more of storage. This will allow you to add media and apps to your phone with much more freedom. If you plan to store a large amount of video or music on your phone or play multiple 3D games, opting for 64GB of storage or more is even better. However, for many users, this is overkill. If your phone doesn't support a microSD card, we'd recommend no less than 32GB just to be sure you're never stuck wishing you had purchased a phone with more storage. Most phone specification sheets list a battery capacity in mAh. But this number doesn’t tell you what to expect in terms of battery life. And even if manufacturers provide an estimate of battery hours, it will only be accurate using the same phone settings, apps, and network conditions the manufacturer used during their testing. 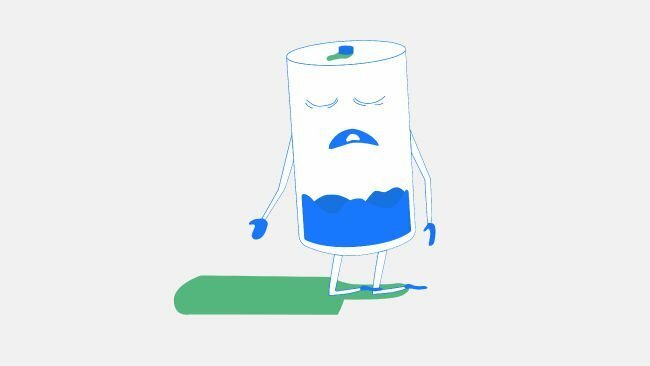 Screen size, screen resolution, the processor used, your signal strength, and how you use your phone will all impact battery life. Despite all the improvements in other areas, there are still phones today that won’t last a day on a charge if you use them heavily. For all-day use, most modern phones require a battery capacity of at least 2,700mAh. If you plan to use your phone often, choosing a model with fast charging will help speed up charge times significantly for times when you need a charge in a hurry. The phone and charger communicate to send more power to battery when the charge is low. As the charge gets higher, the charger slows down how fast it charges your phone again until the battery’s charge is full. This doesn’t just help provide hours of use in as little as 30 minutes of charging -- it’s also better for the battery. With fast charge phones, you can expect a full charge in 1 to 1.5 hours in most cases. But you’ll need a special charger -- either provided with the phone or purchased separately -- to get the fastest charging times. If you plan to use your phone a lot, a phone with fast charging will ensure speedy top offs when you need them. Not long ago, choosing a good camera phone was was all about megapixels (MP). While this still serves as a decent baseline to weed out bad options, there are more factors to consider these days. Manufacturers have improved mobile camera quality greatly. Some high-end phones offer image quality that rivals entry-level dSLRs -- though they still don’t have the flexibility of swappable lenses and other advanced options you’d find with a dedicated camera. The baseline consideration for an acceptable rear phone camera is around 8MP. 5MP is acceptable for front-facing lenses if you’re only planning on the occasional selfie or video chat. Dual Lens Cameras: These often offer advanced features, such as zoom or bokeh effects, that you won’t find with the competition. Aperture Size: While this is a complex topic that could be its own guide, in general smaller numbers will mean better low light performance. However, it can also result in a lack of depth in shots. Sensor Size: Sensor sizes are most often labelled in fractions. Common sensor sizes include 1/3.2-inches, 1/3-inches and 1/1.2-inches. The larger the sensor, the more detail the camera can capture. Pixel Size: The larger the pixel size (measured in microns) the better the low-light performance. Optical Image Stabilization: This uses a mechanism to help stabilize the lens and reduce the number of fuzzy shots you snap. 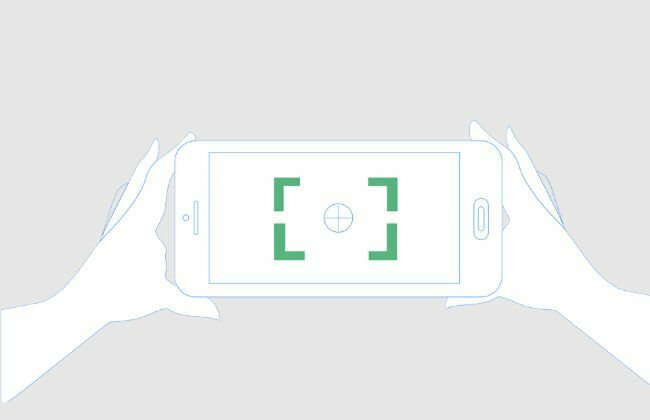 Phase-Detection or Laser-Assisted Autofocus: Both features drastically speed up how fast your phone can focus. This makes it easier to capture those magic moments before they’re gone. Telephoto Lenses: These lenses allow you to use optical zoom instead of relying on digital zooming. This means better details and clearer shots. Dedicated Image Processors: While still rare, some recent flagship phones have added image processors to their phone cameras to provide faster performance and improved image quality. If you’re looking for a true camera-centric look at how phone models compare, DxOMark covers everything else you might need to know. Video recording on phones has seen as many improvements in recent years as photography. But it still is a phone feature that cannot compete with high-end video cameras or action cameras . Still, if you’re looking to film your vacations or catch cute clips of the kids, phone’s are easy-to-use and more than capable of producing high-quality video for sharing with friends and family. If you’re planning to share your videos online, you’ll want a phone that records 720p video at 60 frames per second (FPS) minimum. 1080p is even better for viewing on larger screens. While many phones can record 4K video, they only record at 30 FPS. This might be great for calm scenes or family videos, but any high-action shots are likely to appear blurry or experience minor stuttering. If you’re planning to shoot slow-motion videos, choose a phone capable of filming at 240 FPS or higher and plan to pick up a tripod or phone mount. Without one, you’ll end up with a blurry mess. Today’s phones are more powerful than ever. This makes the processor consideration less important -- especially when comparing options in the higher price ranges. They’re all going to be more than fast enough for the average user and many are more than enough for most power users. But if you’re looking at the entry-level and and mid-range phones, you’ll want to keep a few things in mind. When it comes to processor cores, a quad-core option is good enough for casual use. If you plan on gaming, editing video, multitasking, or using your phone for more than basic communications, an octo-core processor offers noticeable improvements in most cases. But how can you tell how much better one processor is than another? In the early days, you could compare the GHz for each processor -- a rating that measures processing power. However, with the later generations, processors are doing more with the same processing power. So this number isn't always accurate. Not to mention, many quad- and octo-core processors are using multiple cores at different speeds in the same chip. 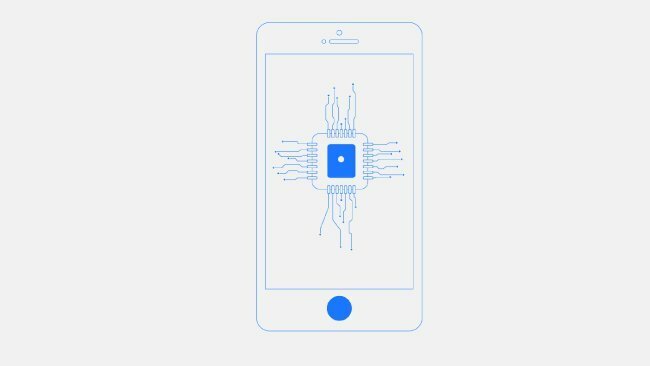 If you’re looking to compare two specific processors, these Android and iPhone comparison charts make it simple. However, as general trends go, newer processors of a similar speed will always offer improved performance and power usage over older processors. In most cases, it pays off to buy something just above what you need. You can count on a bit of future-proofing while getting a great balance of performance and value. Processors are only one part -- though arguably the largest part -- of phone performance. Memory plays an important part of keeping your phone zipping along. And no, we’re not talking about storage memory. There’s another type of memory -- RAM -- that functions like your phone’s short term memory. It’s also faster than the internal storage, so anything stored in it loads quicker than it would from internal storage or off a microSD card. More RAM means you can switch between apps faster when multitasking and generally keep things running smoothly for longer. We’d recommend a minimum of 2GB of RAM for casual, day-to-day uses. If you multitask at all or play games, 3 to 4GB will show noticeable improvements in response times and loading speeds. Models with 6 to 8GB of RAM are more than most people need. But if you have the budget, it provides a level of future-proofing as apps continue to get larger and their memory requirements grow. Your smartphone is home to an endless trove of personal information. Everything from social media accounts and bank accounts to pictures and voicemails are all just a few taps away. This makes securing the information on your phone essential. In a world that is increasingly connected and digital, allowing this information to fall into the wrong hands is a major headache in the least and a catastrophe at worst. Phones offer several ways to prevent unwanted access to your apps and information. Nearly every phone offers storage encryption and a basic password-, PIN-, or gesture-based locking feature. But newer phones also offer extra options that can help improve security while also providing convenience. Fingerprint scanners rest on the front or back of the phone and allow you to verify your identity with a quick press of the finger. In most cases, you can store 4 or 5 fingerprints to allow unlocking with multiple fingers. This means you don’t have to remember which finger you scanned or how you placed it on the scanner when you saved your fingerprint. TIP: This can also be handy if you plan to share your phone with a family member. Store one of their fingers along with yours and they can always unlock your phone. While fingerprint scanners had issues in their early years, they’re all fairly reliable these days. They’re also secure enough to be trusted by mobile payment and banking apps. 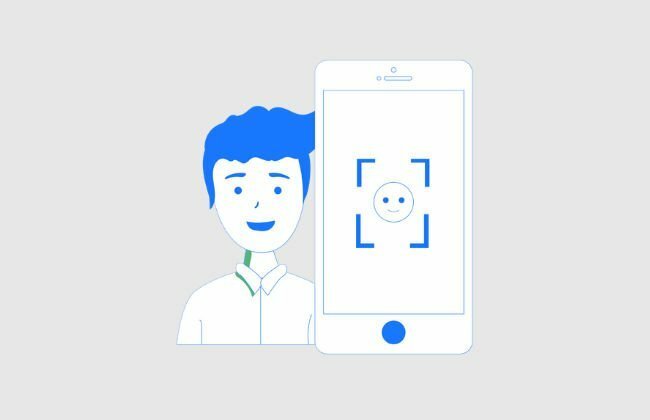 Some manufacturers are also using facial recognition to provide an even easier way to identify yourself and unlock your phone. Many use the front-facing camera to capture an image and compare it to a profile saved on your phone. And while this works, its raised security concerns with some experts because it’s only based off a flat image with little data. In some weaker camera-based facial recognition systems, researchers could trick the systems into unlocking using photos. This doesn’t account for issues with unlocking in dimly lit places or from angles different from the one you used when you set up camera-based facial recognition. However, advanced sensor-based systems, such as Apple’s Face ID and Samsung’s Iris Recognition, use additional sensors to help capture 3D images of your face or tiny details about your eyes and other facial features. This solves most of the concerns of the weaker camera-based solutions. The camera collects data about your face from multiple angles and sensors map the contours of your facial features. This means that whether you grow a beard, cut your hair, or need to unlock your phone in the dark, the system still works. More importantly, it means that it is harder for others to trick. Experts consider these sensor-based types of visual identification more secure in most cases than the simpler camera-based ones. While none of these security features are deal breakers, they can add a level of convenience and peace of mind to your mobile use. So choosing an option you like and trust is always a good idea. As phones have increased in price over the past decade, they’ve moved from a pricey-but-convenient part of life to expensive -- some might even say luxury -- items. With that has come a demand for more durability. No one wants a rogue splash or a dip in the sink to cost them hundreds -- if not thousands -- of dollars. In response, manufacturers have released water-resistant and waterproof phones. If this appeals to you, look for phones with an IP rating. So always treat ratings as a protective measure, not a guarantee. Avoid pushing the boundaries of these protections if you can or you might find yourself with a hefty replacement fee on your hands. This is one of those features you might not use often -- if at all -- but when you want to use it and it’s not there you’ll notice. NFC allows your phone to send information by tapping it to or placing it near an NFC-enabled receiver. How would you use a feature like that? While you can use it to send photos, contacts, and other bits of information between phones and phone accessories, the primary use for NFC is mobile payments. If you plan to use mobile payment services, such as Google Pay , Samsung Pay , or Apple Pay , be sure the phone’s you’re considering support NFC. Once you know what plan and phone best suits your needs, all that’s left is figuring out the best way to pay for it. More importantly, you need to look at how the various options available might impact the final cost you pay for your phone. While deals from carriers often look awesome upfront -- especially in the face of ever-increasing phone prices -- they might not be as good as they appear when you break things down. Carriers used to offer steep phone discounts in exchange for a multi-year service contract. It allowed you to score a good deal on a phone and ensured they’d recoup the cost as you completed the terms of your agreement. These days, carriers often prefer to finance or lease phones. Part of your monthly bill is for your phone financing or lease, while the rest is for your monthly phone service. With financing , the phone is yours to keep once you’ve paid off the balance. With leasing , you pay a certain amount each month -- often for one or two years. At the end of your lease, you can return the phone to the carrier for a discount on a new lease or arrange to pay the remaining balance on your phone and keep it. But whether you lease or finance your new phone, you must keep it in like-new or gently-used condition or risk having to pay hefty fees to replace it. Given how fragile smartphones can be, this might be a risky proposition. If a carrier offers subsidies and phone discounts, be sure to read the fine print and understand what the terms of your discount might be. This includes rebates and cashback deals on phones. Many require you to submit paperwork by specific deadlines or apply the rebate to a prepaid visa card after a period of time. You’ll still be on the hook for the fees upfront and may need to wait months before seeing your refund. Understanding the terms of your deal will avoid any unexpected surprises. The full price of a newer phone might make you cringe. Many of these benefits can help you recoup any savings you might find at your carrier. If you travel often, this might only take a few months as using a SIM from your destination is likely substantially cheaper than the roaming rates offered by your carrier at home. Besides paying for your phone upfront, there’s a few options many buyers don’t consider when searching for ways to save on their next mobile phone purchase or upgrade. While the overall value of a refurbished phone will depend on how well it’s refurbished, a phone refurbished by a reputable service -- or better yet the manufacturer themself -- can offer exceptional value and savings. If you’re buying from an online auction site or classified, you’ll need to research the seller and item in question. However, the market for used and refurbished phones is huge these days. So there’s no shortage of reputable options for finding a reliable phone at a fraction of the retail price. If you're willing to do a little research and know where to look, used phones are a great way to get more phone for your money . This is especially true when new models are released. People that upgrade because they want the latest model the moment the manufacturer releases it often flood the market with gently-used phones that function like new -- but at a fraction of the price. If you are replacing your phone or upgrading, you can also make some spare cash with your old devices. Consult our comprehensive guide on selling your used phone for maximum profit . Like any consumer product, mobile phones prices -- even on the same model -- vary throughout the year. If you can find a good sale -- or can wait for a newer model release to buy the phone you have in mind -- you can save big. If you have a specific model of phone in mind, checking for previous phone releases might show when the manufacturer typically releases their new phones. Many companies release phones on a schedule with a new model coming out every 6 months to a year. When they release the new model, they’ll often slash the prices on old stock to clear out room to store and sell their new phones. Times for price drops vary between a few months before to a few months after the release of the new model. While it might take a little research and some patience, the pay off is often worth it. 1. Can I Upgrade My Phone without Buying a New One? No. Apart from the ability to add storage space to some models with microSD card support, the features and specifications for mobile phones are determined by the manufacturer. This makes researching your phone before purchasing essential. 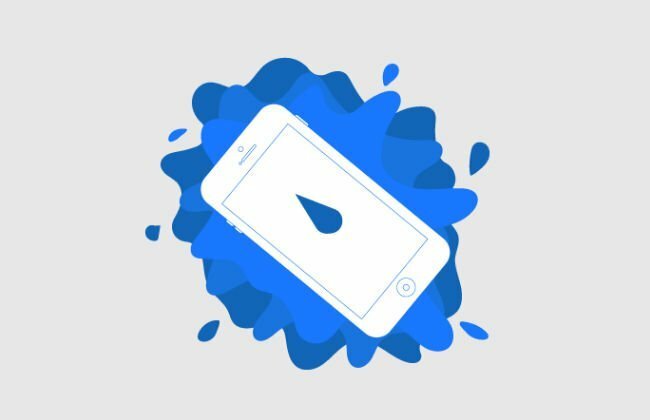 If your existing phone isn’t performing how you’d like and you decide to upgrade your phone, be sure to sell your old phone or check our guide about ways to re-purpose your old phone instead of letting it collect dust in a drawer somewhere. 2. Do All Phones Need Data Plans? No. Most basic cell phones don’t require data plans. However, you might not be able to send picture messages, check email, or use features such as GPS navigation without a Wi-Fi connection. If you’re using a smartphone and you’re no longer on contract, you might be able to drop data service if you deactivate the phone and use Wi-Fi only. Apps such as Line2 and Skype make it simple to maintain a phone number on the device with no associated service plan. However, this will mean you no longer can make or receive calls or text when outside Wi-Fi range. 3. What Features Do I Need to Make Payments with My Phone? If you’re planning to use Apple Pay , Google Pay , or one of the competing mobile payment services, you’ll need two features on your phone. Near Field Communication (NFC): This is the feature that allows the phone to communicate with a payment pad by tapping it or hovering near it. Fingerprint Scanners: Most payment services require a fingerprint scanner. Top-end models options include a fingerprint scanner, but mid-tier or budget phones might not. NOTE: One exception to this rule is Apple phones . Models with Face ID don't offer a fingerprint scanner but can still use Face ID to complete mobile payments with most providers. 4. Can My Phone Use More than One Phone Number? Some phones have slots for more than one SIM (or hold more than one SIM in a single tray). Each SIM is assigned to a separate line and can be used for voice calls, messaging, or data depending on the plan assigned to the SIM. These are called dual-SIM phones . There are also tri-SIM phones that allow you to use up three numbers and lines on a single phone. TIP: Some newer phones -- in particular the latest iPhone releases -- now include an eSIM. This allows them to offer the same multi-line features as a dual-SIM phone without the need for a second physical SIM slot. You just program a carrie r into the eSIM and change it when you wish while using your main SIM slot for your primary number. Common uses for dual-SIM phones include using local carriers when travelling to avoid roaming charges and save money, separating work and personal communications without having to carry two phones, or taking advantage of cheaper data through a data-only SIM with another carrier. NOTE: If your carrier uses a CDMA network, you won’t be able to take advantage of this feature. If you don’t mind using a virtual number, there is a variety of apps to add second numbers to any phone using software. Many require additional payments and plans to function. Popular options include Skype , Sideline , and Line2 . 5. Should I Buy a Phone at Full Price or Take the Discount from My Carrier? In most cases, buying a phone at full price will offer the greatest flexibility. However, this depends on why the carrier is offering a discount. In the case of refurbished phones , you’re getting a discount for a returned -- and possibly repaired -- product. As long as you’re buying from a reputable source, you’ll often find that refurbished phones come with similar warranties to new devices and cost much less. If you’re looking to save money, this is an option to consider. In the case of phone subsidies, you’re getting a discount for maintaining service with a specific carrier. If you know the carrier’s service and coverage fits your needs, this might be a good deal. However, a short time after the initial purchase, you’ll be locked into your contract. Getting out of a cell phone contract isn’t impossible, but it can be expensive. 6. Do All Apps Work on All Mobile Phones? While some apps offer versions for different phones, your phone’s operating system will limit your app choice. iOS apps will not natively run on Android, for example. For one-time purchase apps, you will likely need to repurchase the app if you switch phone operating systems. Many subscription-based apps will allow you to download a version of the app for a variety of devices. However, if you intend to use a specific app, research the supported operating systems to avoid any future complications. 7. What is a Modular Phone? Modular phones are an interesting concept. But they’re also something we’re not sure will stick around. Essentially, they are phones that allow you to swap attachments or pieces in order to change the features. These attachments allow you to upgrade cameras, boost battery life, improve sound quality, and more. A current example of this is the Moto Z series . It’s also a great example of both the strengths and benefits of modular phones. And the attachments for the Moto Z are also compatible with the Moto Z2 and Moto Z3. Unfortunately, a number of complaints about the Moto Z2 and Z3 came down to the fact that Motorola couldn’t change the design of the phone and still be able to use the earlier accessories. So when you choose a modular phone, you’re limiting your future options. If you choose to purchase multiple accessories and features, they might not work with your new phone should you upgrade later. Whether that is a good deal is up to you -- and if the maker continues to support the phone for a long time. But for most, we’d say it is a risky -- and expensive -- investment when so many other phones offer similar features and cheaper accessories. 8. What if I Only Need a Phone for Emergencies? The ability to phone for help if you’re stranded with a broken down car or run into trouble while travelling is a great reason to have a phone. But do you really want to pay for an expensive contract with features you don’t need for service you will probably never need to use. In these cases, we recommend a basic flip phone or candybar phone that works with one your local prepaid providers. You can keep a few minutes worth of credits on the phone for when you might need it and are not stuck paying for data or minutes you’ll never use. But there is one catch to be mindful of -- expiration dates. For many prepaid providers, you must add minutes or credits to your account every few months or place a call to keep the line active. If you don’t, they might shut down the line and assign your number to someone else. However, as long as you keep up with these requirements, you can keep a phone -- and the peace of mind it brings -- at the ready for an affordable price. We have lists of both the best prepaid plans and best basic phones available to help you find a perfect match for your needs. With all the options available, choosing the perfect phone for your needs might seem complex. By understanding what to look for and what you need, the process is much easier. With everything in this guide, you have the information and tools you need to make an informed decision. If you’re like more help deciding, be sure to check out our phone comparison tool . It allows you to filter through the best phones for you features, size, manufacturer, size, price, and more. We've checked out reviews on from experts and advisors around the web for every phone listed on our site to see what they think of the phones and how the phones worked for them. In short, we did the research so you don't have to. uSwitch: Which Mobile Phone to Choose? Not sure what to look for in a cell phone? Check out some of our in-depth guides, comparison tools & resources! Is an Android Phone Right for You? What’s the best phone for emergency use only? While modern smart phones offer a ton of features, they’re not so great for battery life or durability. For emergency use, we recommend a standard prepaid phone. What they lack in features they make up for in battery life--some will hold a charge for weeks or months. Be sure to check the top off terms. Most require you to add minutes to your plan at specified intervals to keep your phone active. Most prepaid carriers offer long-term options to avoid wasting minutes you’re not using. What’s the best phone for younger children? Kids are prone to drops, spills and other accidents. Adding the cost of a new iPhone to your next trip to visit grandma isn’t exactly cheap. Fortunately, the budget Android market offers a long-list of affordable phones. Smaller phones will offer a lower price in most cases but might not work for those with developing motor skills. Larger phones, while more expensive, offer chunkier buttons and easier navigation for growing fingers and minds. What’s the best phone for teens and students? For young adults, a solid mid-tier smartphone option offers reliable performance without blowing your budget. Used phones are an excellent way to ensure you find an up-to-date phone without the high price tag of the latest flagship releases. Last generation’s iPhone or Galaxy offers everything a student needs at a price that will make parents happy too! If you’re not sure where to find a good used smart phone, our Phone Buyer’s Guide offers everything you need to know! What’s the best phone for seniors? If you’re looking to replace traditional landline service, a standard phone is a great introduction to the world of mobile phones. They use a standard keypad and don’t require understanding advanced features for basic use. If you’re looking to join the smartphone crowd, we recommend an iPhone. Not only are these devices dependable, they offer a simple user interface and support for Apple devices is some of the best around. Better still, most Apple phones feature a similar interface, so upgrading or replacing one Apple phone with another won’t mean relearning how to use the device. Should I buy a phone at full price or take the discount from my carrier? In most cases, buying a phone at full price will offer the greatest flexibility in the future. However, this depends on why the carrier is offering a discount. In the case of refurbished phones, you’re getting a discount for a returned--and possibly repaired--product. Don’t let the label scare you. As long as you’re buying from a reputable source, you’ll often find that refurbished phones come with similar warranties to new devices and cost much less. If you’re looking to save some money, this is an option to consider. In the case of phone subsidies, you’re getting a discount in exchange for maintaining service with a specific carrier. If you know the carrier’s service and coverage fits your needs, this might be a good deal. However, a short time after the initial purchase, you’ll be locked into your contract. Getting out of a cell phone contract isn’t impossible, but it can be expensive. Do all apps work on all mobile phones? While some apps offer versions for different phones, your phone’s operating system will limit your app choice. iOS apps will not run on Android or Windows 10 for example. 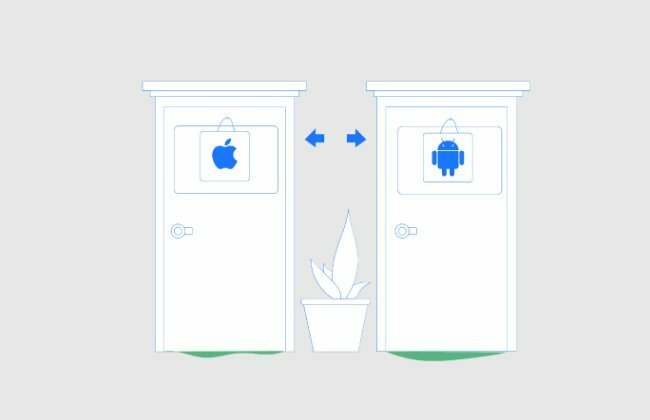 In the case of one-time purchase apps, you will likely need to repurchase the app if you switch phone operating systems. Can my phone use more than one phone number? Yes and no. On a hardware level, you will need a dual-SIM phone to support multiple separate lines from your carrier. However, if you’re an area with CDMA network coverage, you won’t be able to take advantage of this feature. If you don’t mind using a virtual number, there are a variety of apps to add second numbers to your phone using software. Many require additional payments and plans to function. Popular options include Skype, Sideline and Line2. Can I upgrade my handset without buying a new one? No. The features and specifications for mobile phones are determined by the manufacturer. 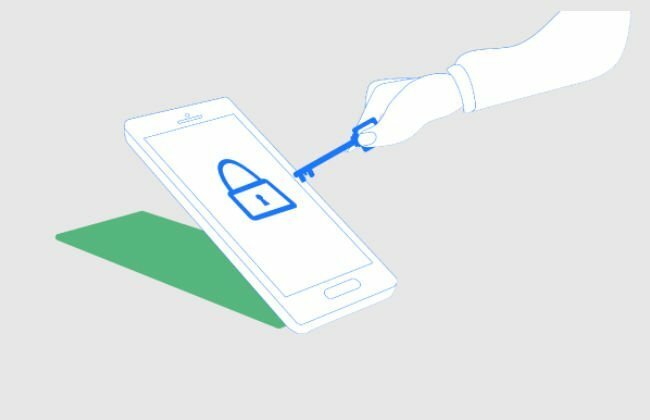 This makes researching your phone prior to purchasing essential. If you’re not sure where to start, consider our Phone Buyer’s Guide. If you’re looking to get a little more performance out of your phone, our Guide to Saving on Mobile Data offers tips that might squeeze a little more performance out of your phone and 9 Great Uses for Your Old Smartphone or Tablet offers ways to repurpose a device that might be collecting dust. Can I change carriers with my existing phone? This will depend on how you purchased your phone and your current contract obligations. If you have an unlocked GSM or CDMA phone, it should work on any other carrier using the same network type. If your phone is currently locked to your carrier, you will need to request to unlock it before you can change providers. As long as you are no longer under contract, most carriers will unlock the phone at no cost. Can you buy or sell used mobile phones? Yes! In fact, we think this one of the most overlooked options for upgrading your phone or making some spare cash with your old devices. If you’re looking to sell, we have a comprehensive guide on Selling Your Used Phone for Maximum Profit. Looking to buy? We have a section in our Phone Buyer’s Guide dedicated to what to look for in a used phone. Topics include ensuring that the phone is valid and functional, getting the best price and the best sites for finding used mobile phones. Do all phones need data plans? Monthly and prepaid data tariffs add up fast. While it might seem like they’ve become a standard part of owning a mobile phone, there are still a few exceptions. If you pick up a standard phone, you’ll sacrifice some features, but most don’t require data plans. Feature phones will vary depending on the exact features that they add. Still, most carriers offer lower priced plans since the data used by feature phones is often much less than that of smartphone. If you’re using a smartphone and you’re no longer on contract, you might be able to drop data service if you deactivate the phone and use it over Wi-Fi. Apps such as Line2 and Skype make it simple to maintain a phone number on the device without the need for traditional carrier service. However, this will mean that you no longer can make or recieve calls or text when outside of Wi-Fi range. If you’re stuck keeping a data plan on your phone but looking for ways to reduce costs, we offer guides on finding how much data you need and saving data on your mobile phone.